Selection Sunday has passed and now we know all 68 teams to make the NCAA Tournament! March Madness is upon us, and American sports fans rejoice. 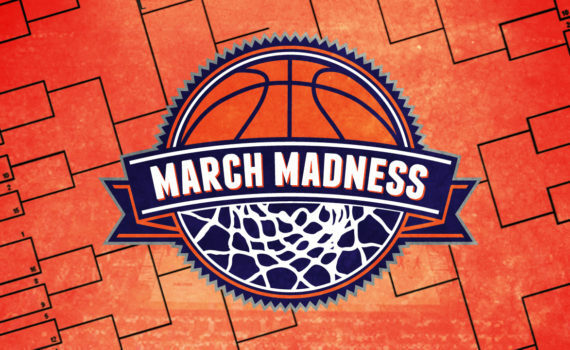 It’s one of the best times in the sports calendar, a time to fill out your brackets, plan your parties, and watch high-level basketball for weekend upon weekend. The field is set, with the First Four play-in games to be decided right away, with the rest of the Tourney following shortly after. It’s a wide open playoff, with any team having the chance to cut down the nets in the Championship, so let’s take a look at how some of the bracket fell out. These may be the most likely college basketball teams to reach the Final Four and compete for the Championship. Villanova is given the #1 overall seed, and well-deserved, being last year’s Champs and this year’s top squad. They’ll have to get past Duke though, the nation’s hottest team, who set a record with 4 straight ACC victories in 4 days to win their conference. Gonzaga hasn’t faced the same competition as other school’s perhaps, but all they do is win, something that should spell trouble for Arizona. Oregon is dealing with a key injury, something that might make Kansas’s path to the Championship easier, if they can also get past Michigan, a team coming off a plane scare that has seemed to unite them as a brotherhood. UCLA boasts the nation’s best player, but we’ll see if that’s enough to get past some stiff competition. Also, we can’t forget, that the odds favor some low-seed upsets, the most likely being (10) Wichita St. or (12) Middle Tennessee St. Both schools have a great chance to busts some brackets, and no matter what, we should be in for another extremely entertaining Tournament.